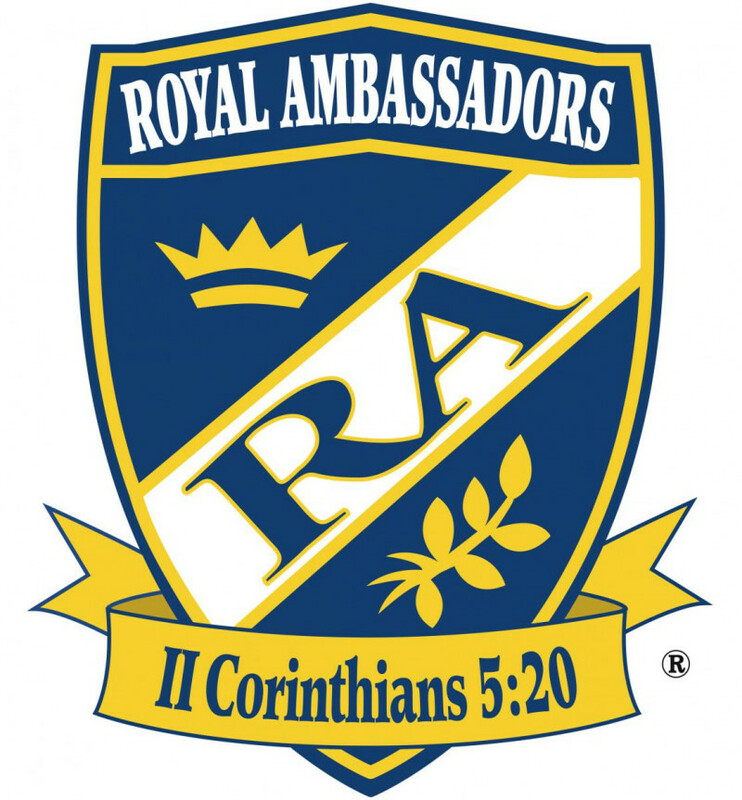 Royal Ambassadors (RA's) is a missions organization for boys in grades 1-6 that helps them develop a Biblical worldview with an emphasis on missions learning and missions doing. RA's utilizes activities that are designed to help boys learn about missions and get them personally involved in practical missions experiences while having fun. Our RA chapter meets on Sunday evenings from 6-7PM. Cleck our church calendar for additional activities and events. The Purpose of Royal Ambassadors is to involve boys in missions. Involvement in missions is living one's faith daily: personal experience in witness and ministry, and giving and praying to support persons involved in missions. The Royal Ambassador program helps boys to become aware of the needs of people around the world and to respond to those needs. The organization seeks to lead boys to a personal commitment to Christ and assist them in their Christian growth experience. 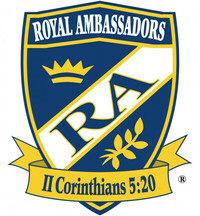 Through Royal Ambassadors, boys are led to an awareness of their responsibility to Christ and encouraged to become His ambassador. This purpose is outlined in the Royal Ambassador Pledge. Participation in chapter meetings. 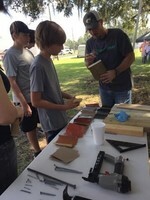 Each boy is given opportunities to use his talents and abilities in chapter activities. The chapter also provides fellowship with Christian boys which helps them feel their worth as they work or play together. Participation in mission projects. Mission projects provide opportunities for boys to show their Christian concern for other people. Through these projects, boys become conscious of their Christian responsibilities to others, especially those in need, by actually doing missions. Participation in interest activities. The use of interest activities can provide fun teaching avenues and learning situations, enhancing Christian relationships and the total program. Royal Ambassadors is a well-balanced mission program which helps boys with spiritual, social, mental and physical needs. Royal Ambassadors capitalizes on what boys enjoy doing. In addition to mission education, Royal Ambassadors provides an increased understanding of the true values in life, a respect for other people, an increased desire to help other people and experience in working with others. These activities lead to improvements in personal habits and provide an outlet for many fun and energetic activities that boys need.